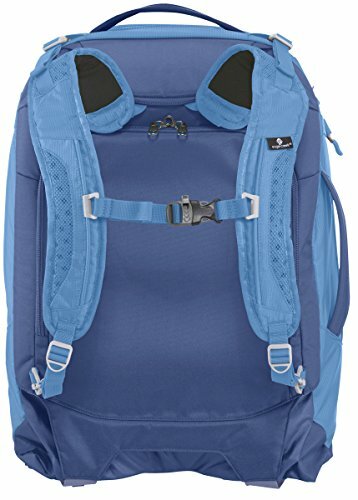 Top ten best carry on backpacks for travel | Tortuga, Osprey and more! 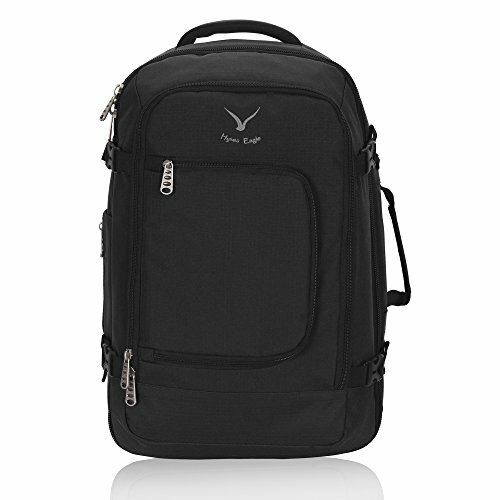 We love one bag travel, where you only bring a single carry on bag with you on trips. 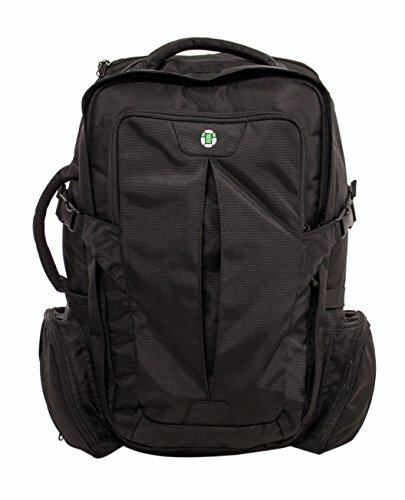 And without a doubt one of the best ways to do one bag travel is with a travel carry on backpack. 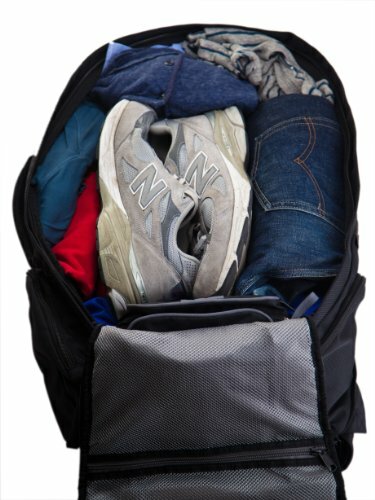 Especially for those wanting to be more mobile, backpacks can provide a great alternative to normal roller suitcases. 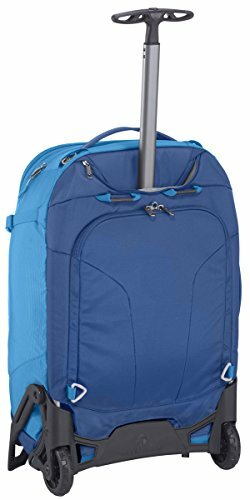 I went on a trip to Europe in college and a backpack was the perfect pick for jumping on and off short flights and trains. Backpacks can be especially handy in places where rolling your bag is not a viable option. For example, surprisingly there are a lot of stairs to climb up and down at Japanese train stations, making a carry on backpack a great choice. 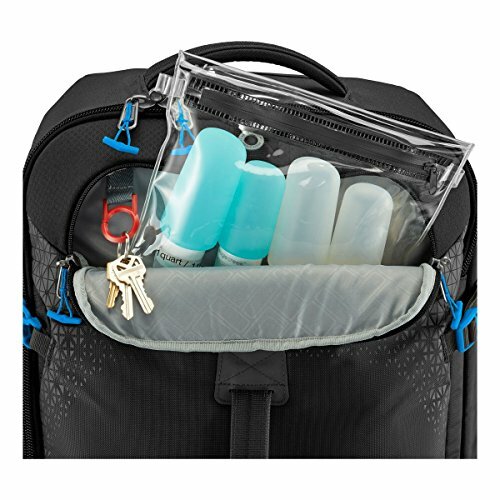 Recently several companies have started to really latch onto the idea of creating a no compromise carry on backpack complete with proper storage organization. 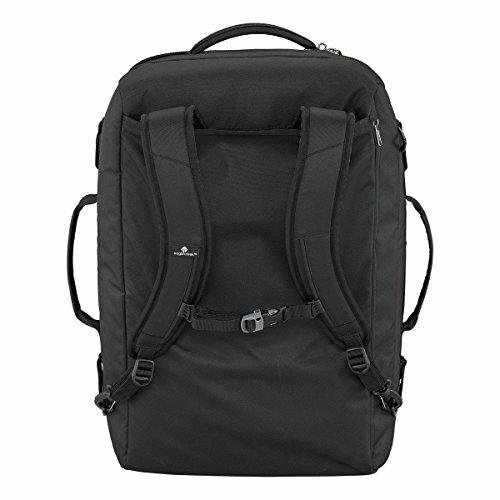 So we decided to gather up our picks for the top ten best carry on backpacks for travel. 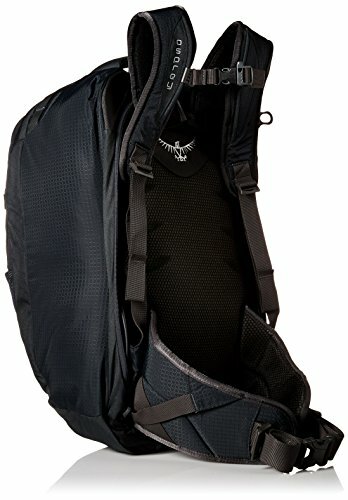 We don’t necessarily have a number one here, but instead have decided to list our favorite features of these ten backpacks. If you’re more interested in standard suitcase-style roller carry on bags check out our carry on buyer’s guide here. We are huge fans of Tortuga’s general approach to travel. 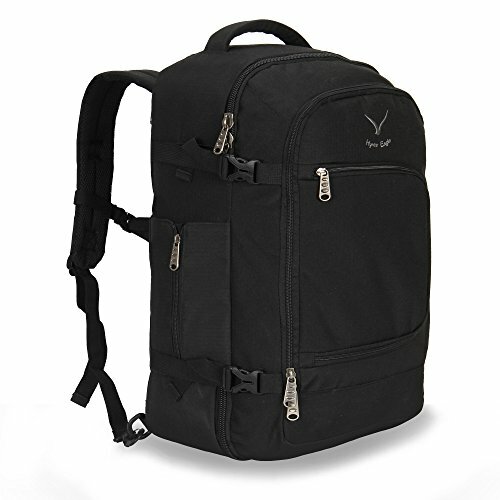 They are apologetically all about one bag travel and have made one of the very best carry on backpacks on the market in their aptly named travel backpack. 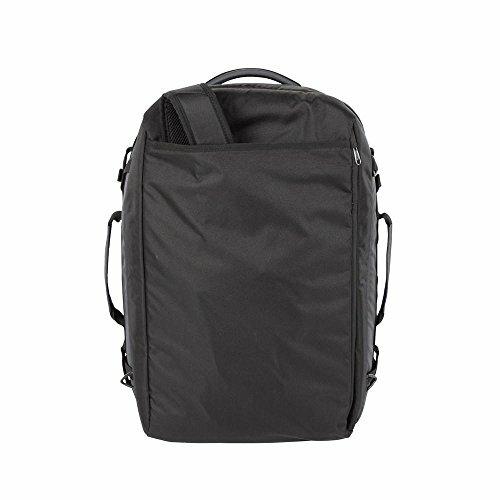 This is a maximum sized carry on backpack that is perfect for travelers and digital nomads alike. 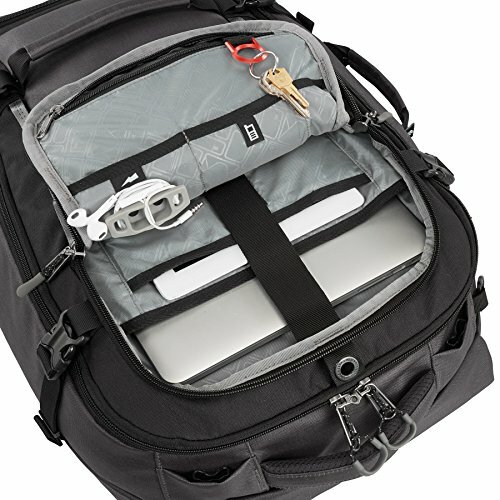 It can fit up to a 17 inch laptop and also features lockable main compartment zippers for any more valuable items. 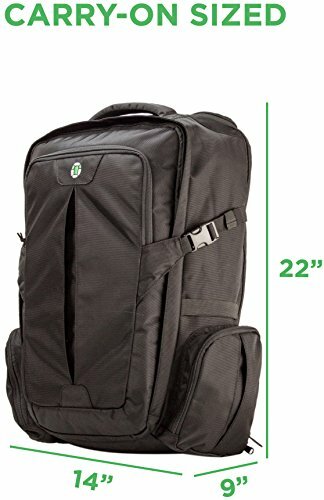 At 22x14x9″ and 44L this bag should on most airlines as carry on. On some discount European airlines you may want to under pack it a bit though. But the fact that it is soft-sided allows you to squeeze it into overhead bins when necessary. 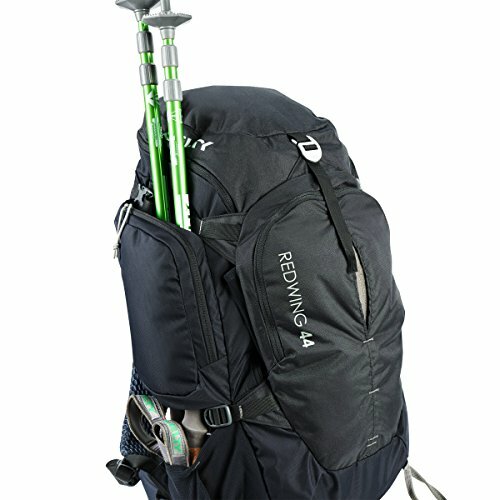 One of the main drawbacks of many hiking style travel backpacks is that they pack from the top. This means you have to dump out all of your stuff if you need anything from the bottom of the bag. 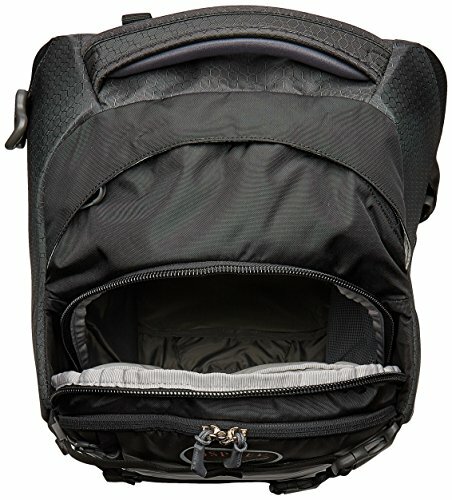 But the Totuga Travel Backpack (and many other bags on this list) packs like a normal suitcase. This is crucial. 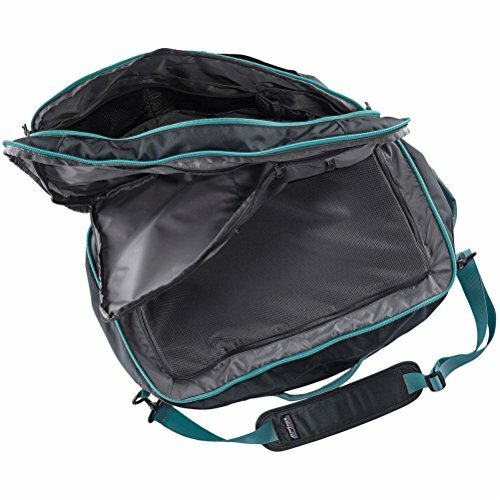 Lastly, the Tortuga integrates a full hip belt system so you don’t ruin your back on your 2 week tour of Southern France. Seriously this bag rocks! We are unabashed Osprey fanboys. Their stuff is always rock solid and retain one of the best warranties of any product in the world. If it breaks, they’ll fix it. Period. Its amazing. And one of their best bags just happens to be a travel carry on backpack. 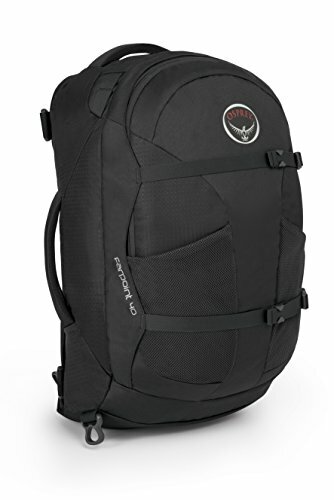 The Osprey Farpoint 40 Travel Backpack basically ticks every single box we have for a great carry on backpack. It is made of some of the world’s most durable fabrics. With a 210D ripstop outer fabric and a ridiculous 600D packcloth bottom, it will withstand pretty much anything your travel can throw at it. 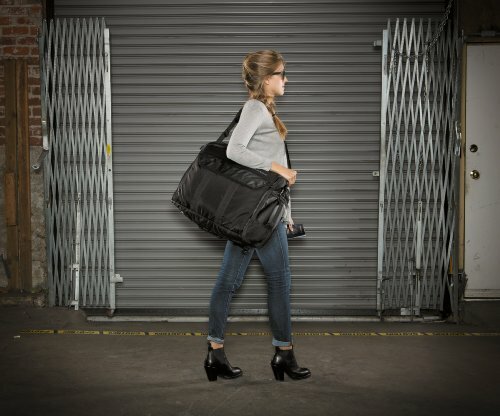 Both the hip strap system and the shoulder straps can easily be stowed under a back flap so when you stow it on the plane it is “dangle-free.” Again, this bag packs like a suitcase so you can easily get at the contents while traveling. 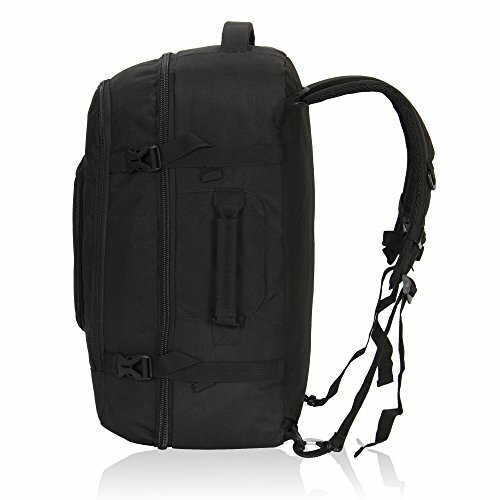 Couple that with a surprisingly spacious inside and great compression straps and you have one of our favorite backpacks of all time. 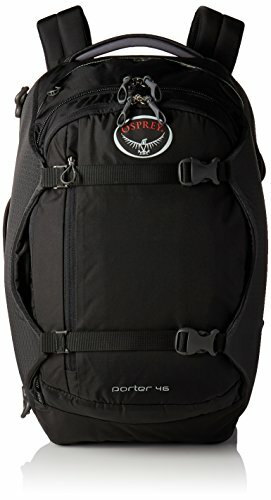 The Osprey Porter 46 is about as big of a backpack as you’ll want to get onto a plane as carry on. 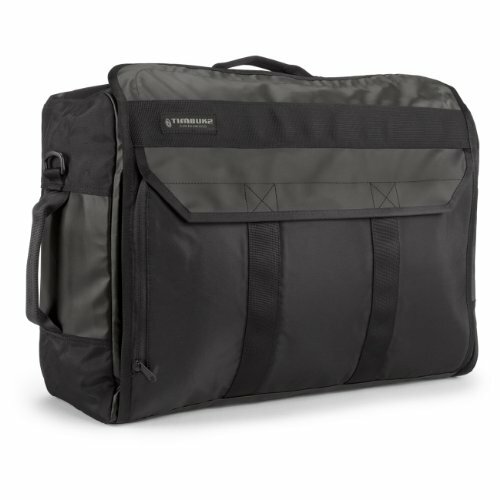 This is the big brother to the Farpoint and is simply an excellent bag. Again, fully panel loading for easy access to the bag’s contents. 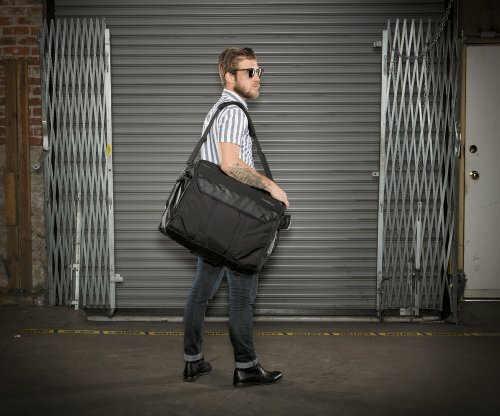 This bag actually doubles as a great duffel bag. 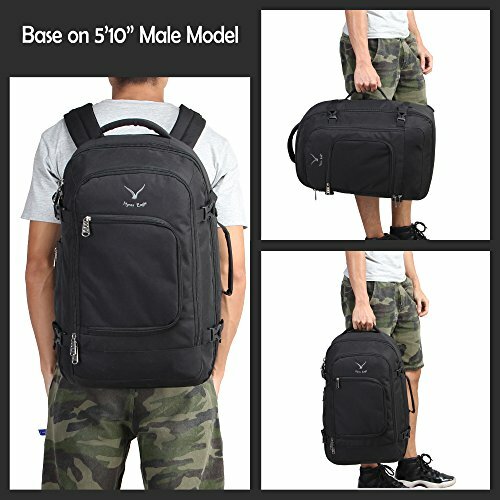 I find this really handy as I often need a duffel bag for weekend trips and don’t want to have the less-than-professional look of a backpack on a business trip. 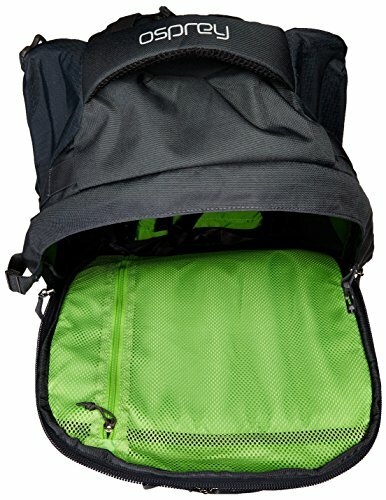 But the fact that it converts does not really compromise the backpack features. 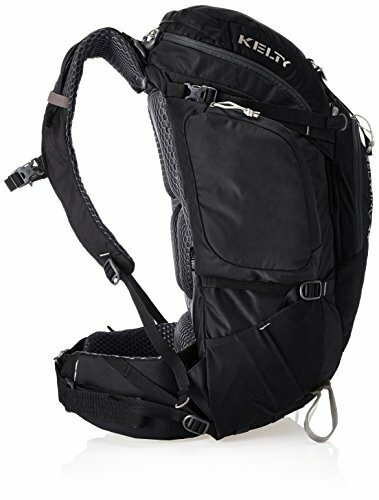 It still has an excellent hip belt system and some of the most comfortable shoulder straps in the industry. 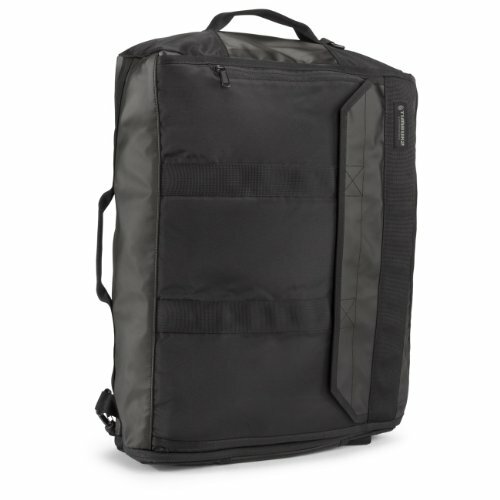 For those digital nomads, the Porter 46 also has a dedicated laptop pocket, tablet sleeve and lockable zippers. 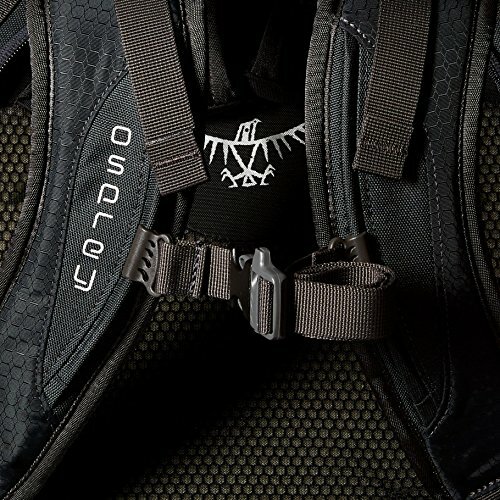 Basically look at this bag as a bigger Osprey option. And it is great. I personally own a lot of Eagle Creek stuff. They just “get it” when it comes to practical travel. Match that with their almost obsessive attention to detail and quality and you have a real winner in the carry backpack space. Their Gear Hauler is just the first Eagle Creek entry in this list. 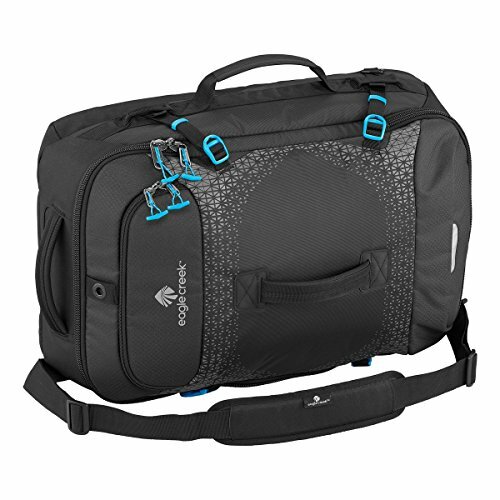 Like the Osprey Porter, the Gear Hauler can play double duty as a duffel bag as well. 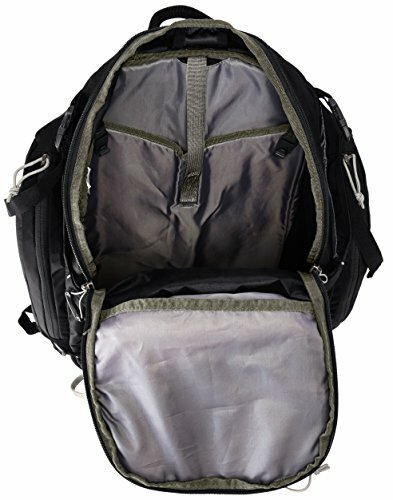 And it is a fairly understated looking bag, meaning you could easily take this on a business trip with no problem, but also take it on an insane tour of Thailand… This bag is full featured, with a full sternum strap for keeping the load even across your body. And its protected with the same bi-tec fabric as the fabled Tarmac AWD carry on that we love so much. But our favorite thing about this bag is the various pockets throughout. 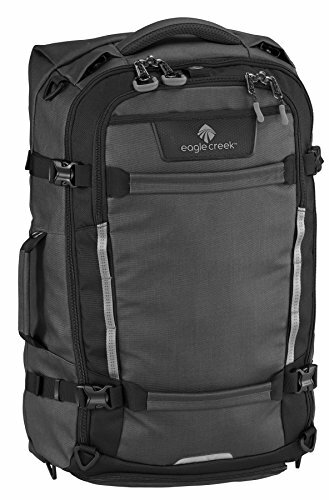 If you are the type that wants to have everything in its place, grab a few packing cubes and you’ll feel right at home with this great carry on backpack from Eagle Creek. 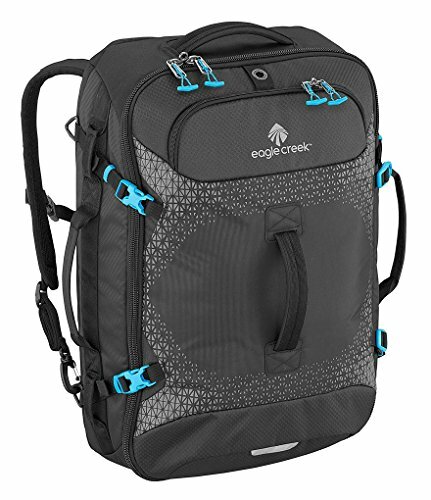 Eagle Creek markets their Expanse Hauler Backpack as a bag that can be worn three different ways. And they are right! 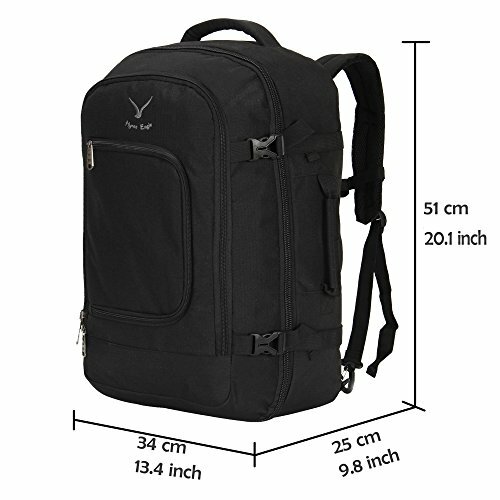 It is an excellent backpack, over the shoulder bag and one hand carry duffel bag. 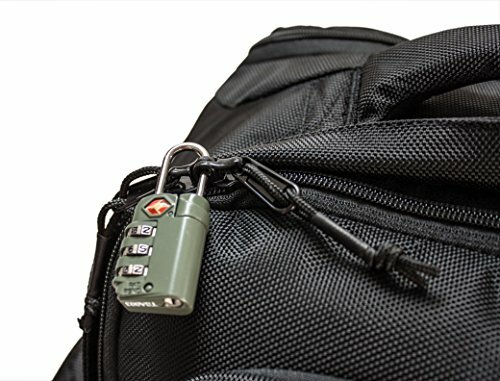 This makes it an excellent overall carry on bag since it can easily be thrown into overhead bins and hauled around security checkpoints like a normal duffel bag. 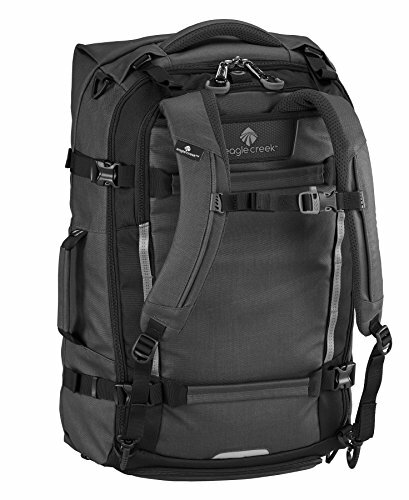 All of Eagle Creek’s hallmarks are here: Amazingly durable 420D bitec fabric, ripstop fabric design, lockable zippers, excellent comfortable backpack straps, and decent overall storage volume. This is a big bag too. They rate it at 50L which could possibly be too large for carry on, so try not to pack it to the rim. Bag is light weight. Nice to have the option of carrying the bag without the frame. Zippers are heavy duty. Outside pocket nice for books. I am happy with the bag so far. 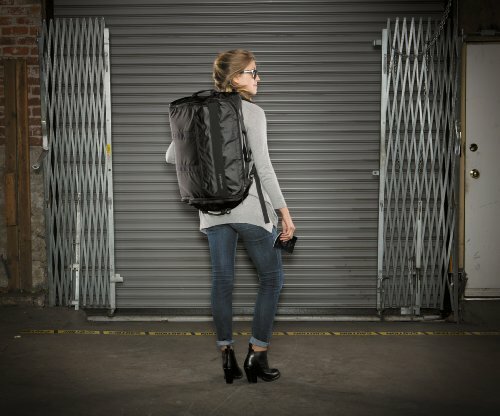 Want even more versatility in your travel carry backpack? Enter the Eagle Creek EC Lync System. 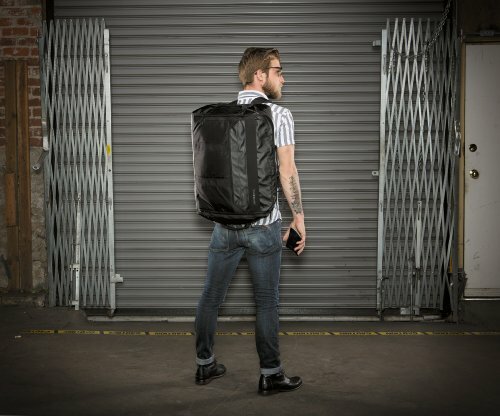 This is basically a travel backpack that can easily be converted into a full rollable carry on bag. This is thanks to the bundled EC Lync expand stand that includes roller wheels and a pull handle. 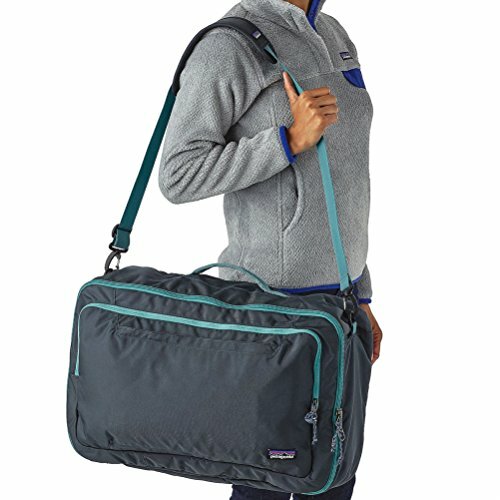 This would be the perfect bag for someone that takes trips that are varied in their terrain and style. For example, you are going on a standard hotel trip, but will have a few day trips that will take you to more remote areas where a backpack would be perfect. 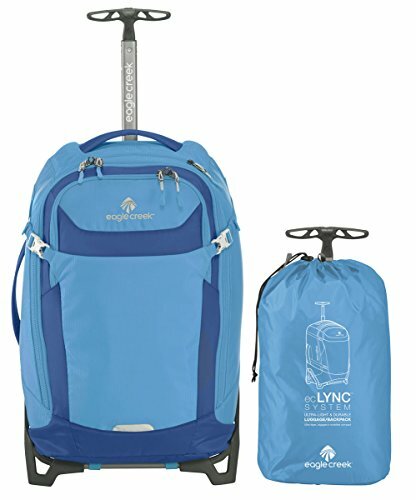 You can easily detach the EC Lync roller system and then continue for a weekend with just the backpack style. 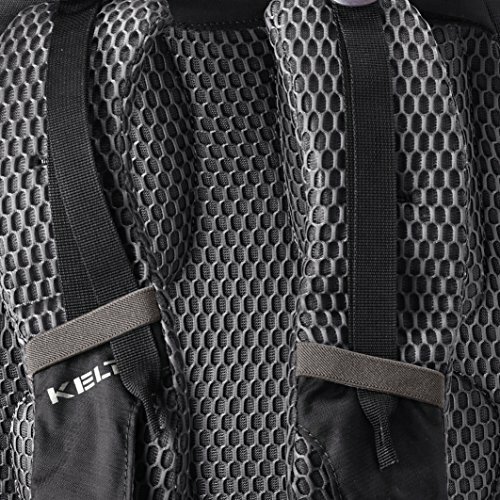 This bag has less specialized pockets than the Gear Hauler or Expanse, but its versatility is a big plus in our books. Made out of durable Cordura Nylon fabric. 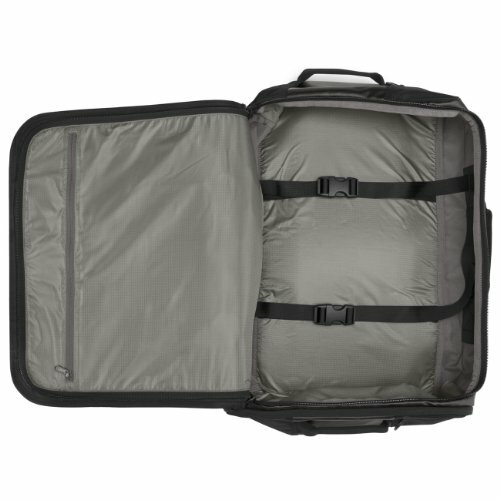 Internal padded sleeve that holds most 17 laptops. Main compartment opens like a book offering easy access and packing. The second interior compartment can be utilize for your shoes. 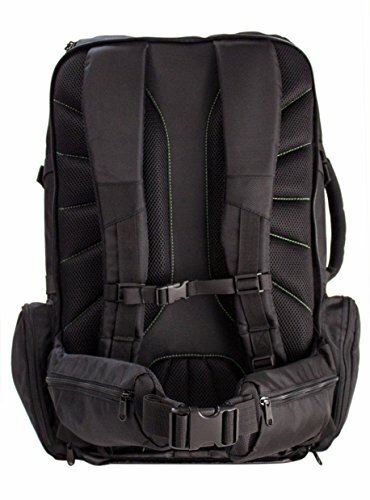 Offers 3 carrying options Backpack with ergonomic shoulder straps, Shoulder style offering comfortable shoulder strap, and Briefcase with 2 carry handles. 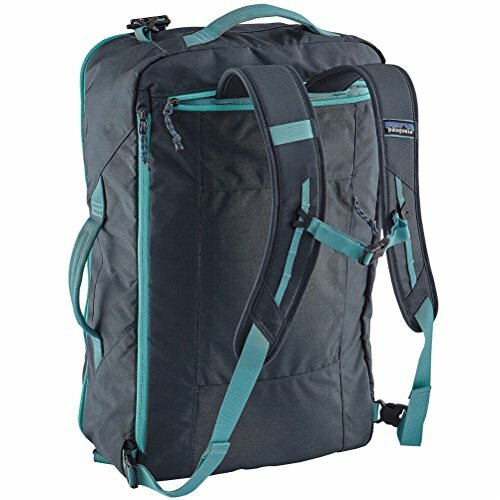 The Patagonia Headway MLC is more of a duffel style bag first and a backpack second. But for many this is actually a plus. 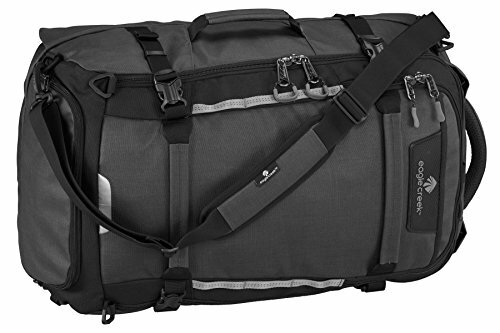 On many trips I actually really want the duffel style and only would rarely utilize the backpack straps. In that case, this bag is perfect. 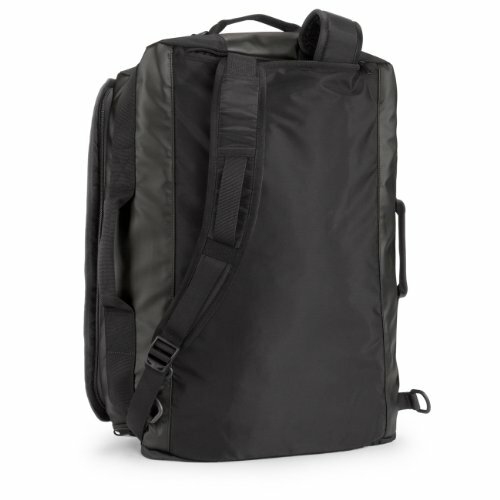 And this bag is virtually indestructible with its is 940 denier cordura fabric outer shell and 200 denier inner lining. Probably our favorite thing about this bag is its thoughtful organization. 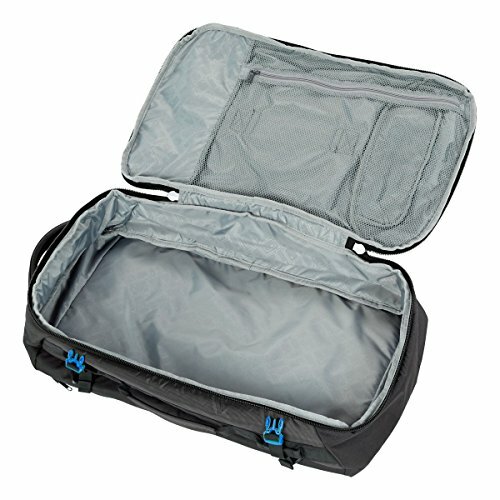 It has 2 main compartments which almost act like packing cubes. 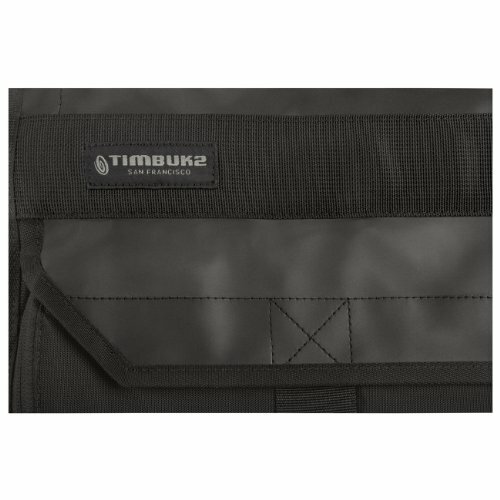 It also integrates a small item pocket for keys and passport and a flat pocket for documents and a padded laptop pocket. 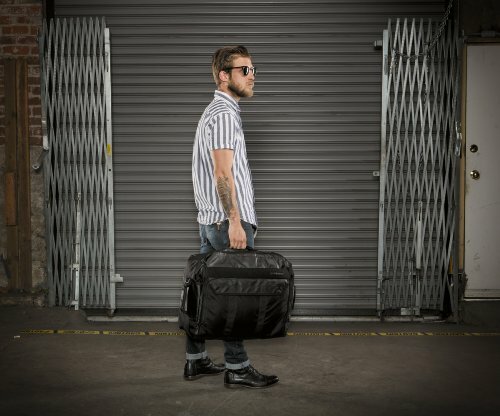 All of this in a pretty understated black design make this my go-to bag for weekend and short business trips that don’t need a full formal Briggs and Riley bag. 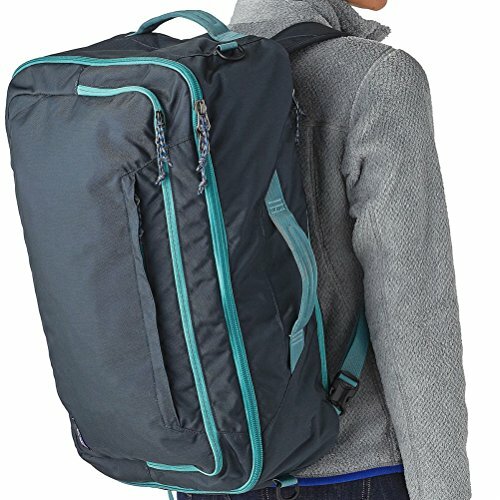 Looking for an ultra affordable carry on backpack? 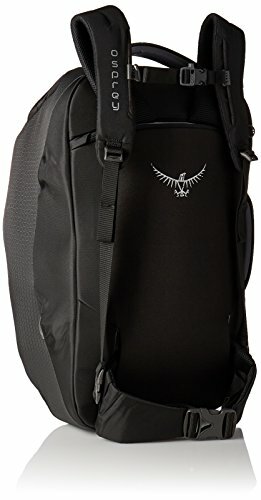 Check out the Hynes Eagle carry on backpack. Look, we’re not gonna lie to you here. You get what you pay for. But a lot of people have been very satisfied by the value proposition of this bag. 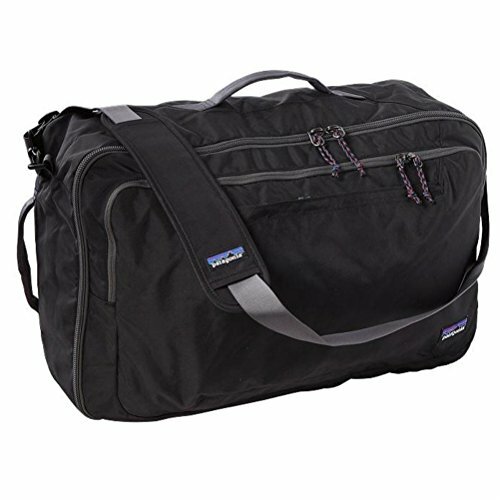 You can get it in many colors and it has a 40L capacity that should fit on pretty much any airline. 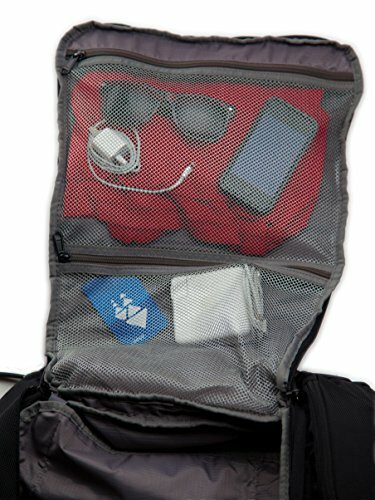 A sternum strap, water bottle pocket and laptop/tablet pocket round out this inexpensive but surprisingly feature-rich package. 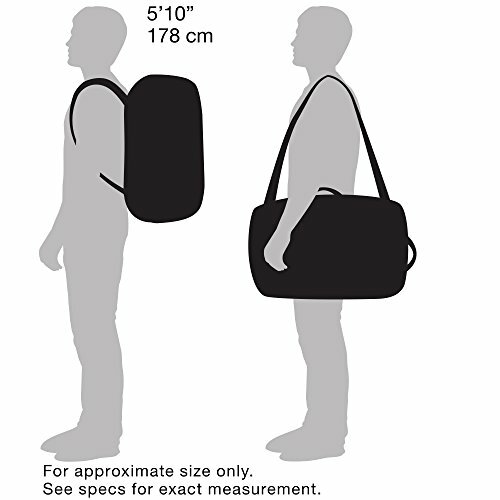 Here is another entry that is really a duffel bag first and a backpack second. But it is quite a package for a decent price. The Timbuk2 Wingman duffel features removable backpack straps (which could be handy if you simply don’t need them on a given trip. We really like the dedicated shoe pocket which we have used surprisingly on every flight we have used this bag. 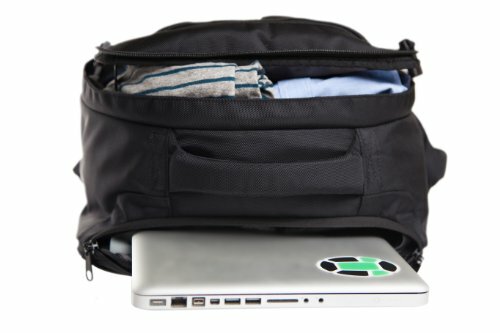 The laptop compartment can accommodate a full 17 inch laptop and the bag also features other smaller pockets for smaller items. 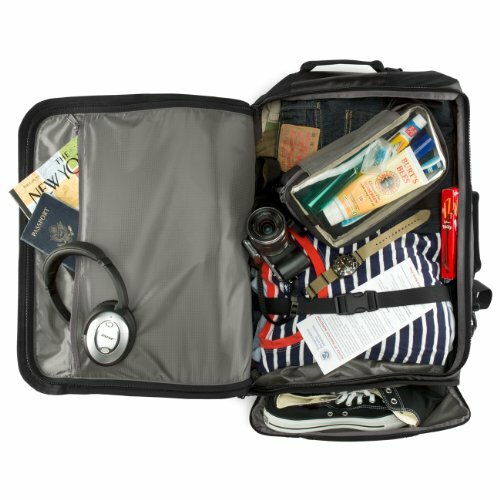 The nice thing with this bag is that it will conform to international flight carry on restrictions, which means you are good to go on some of Europe’s smaller budget carriers. 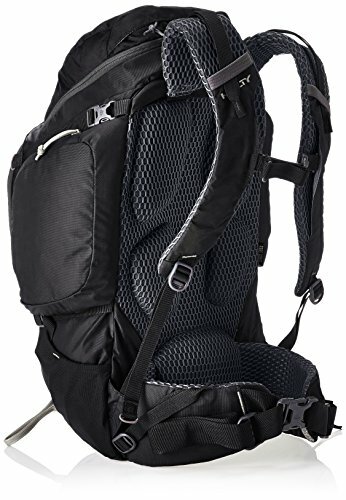 We tried to stay away from the more hiking oriented or “tactical” bags out there that are more oriented towards camping or hiking. 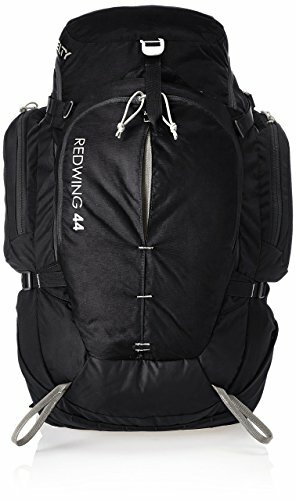 But we wanted to include the Kelty Redwing 44 simply because it is so highly rated among people who have used it for simply airline travel. Sure, its big and bulky, but the quality here is second to none. This is the only top loading bag on our list so keep that in mind. But where it really shines is in its hiking features. It has a full frame to support the waist belt and shoulder straps. 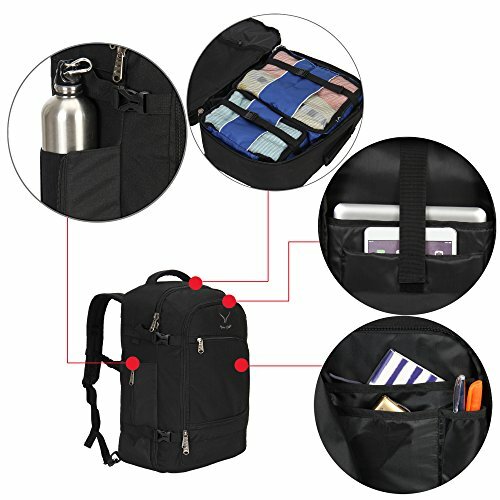 This means that this bag will be perfect for a long hike once you get to your destination. So if you are going to Machu Pichu or something like that. 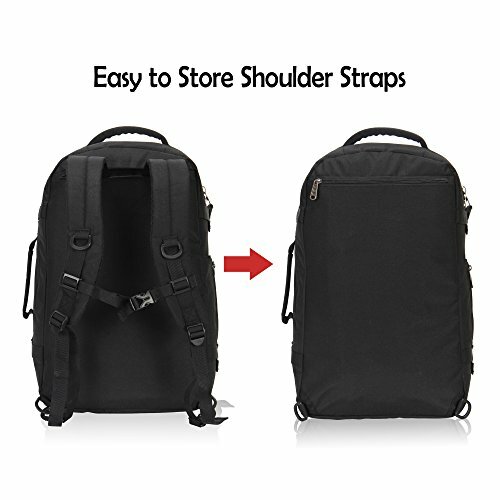 This could be a good option for a carry on backpack. 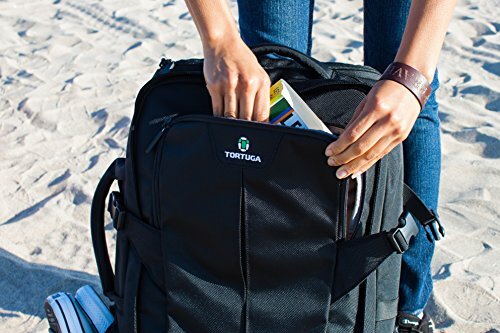 But if you aren’t really going to be doing any outdoorsy stuff, we’d rather recommend something like the Tortuga for simple one bag travel. There it is! These are our absolute favorite top ten best carry on backpacks for travel. If you think we totally missed an amazing bag for this list please let us know!